Jojoba oil has many uses for skin and hair care. 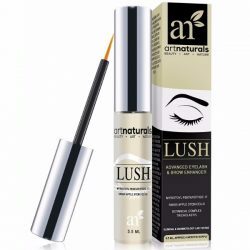 Its moisturizing and nourishing effects make it a valuable product in personal care. Cliganic Organic Jojoba Oil has a great quality that makes it versatile. This pure oil is safe and effective for skin and hair. Cliganic Organic Jojoba Oil is pure and does not contain any filler. There is no fragrance added to this oil as well. With its abundance of vitamins and minerals, there are a lot of health benefits it brings to skin and hair. The jojoba oil is also very light and absorbs fast into skin and hair. 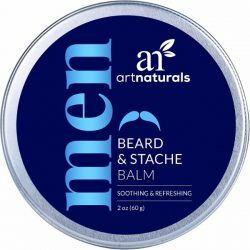 It does not weigh heavily and does not leave a greasy texture. Apply it to the skin to moisturize or cleanse. It is perfect for deep conditioning the skin since it is hydrating. 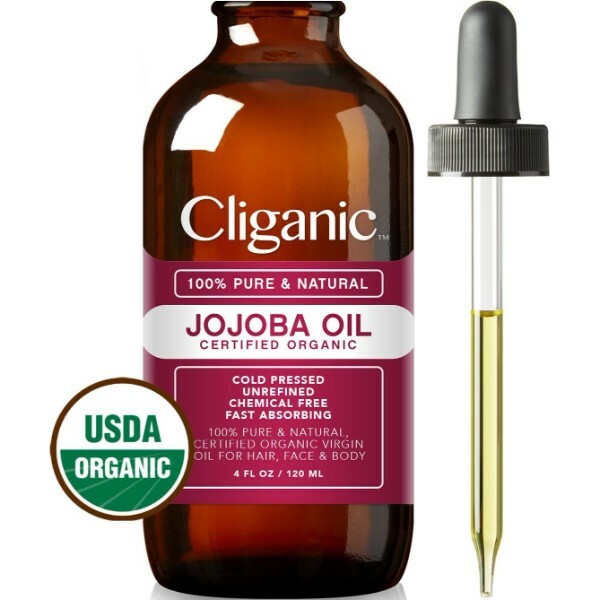 Cliganic Organic Jojoba Oil is safe to use for all skin types. The mildness of the oil does not trigger skin reactions. Use it as a makeup remover, cleanser, massage oil, or as treatment for skin concerns such as acne and pimples. Jojoba oil has amazing benefits for hair as well. It even works for the beard. This natural oil protects the hair from dryness and pollution. It prevents hair damage and improves the strength of hair. With its light texture, it leaves hair soft and smooth without making hair oily. 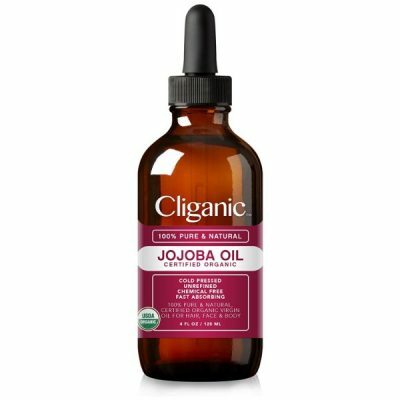 Cliganic Organic Jojoba oil is rich in vitamin E, which fights free radicals and prevents skin aging. 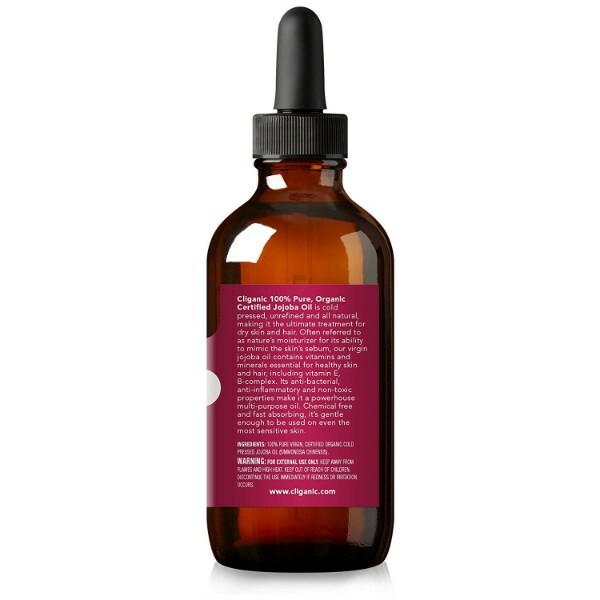 There’s a load of essential fatty acids to help moisturize skin and hair deeply. 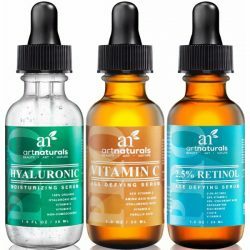 The anti-inflammatory effects are good for treating acne and pimples. 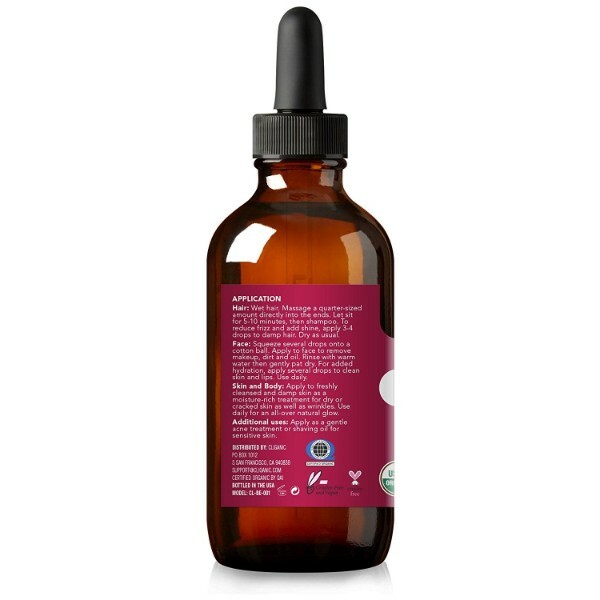 This pure jojoba oil is a great carrier oil to mix with essential oils with thicker consistency such as Argan oil, patchouli oil, and sandalwood essential oils. 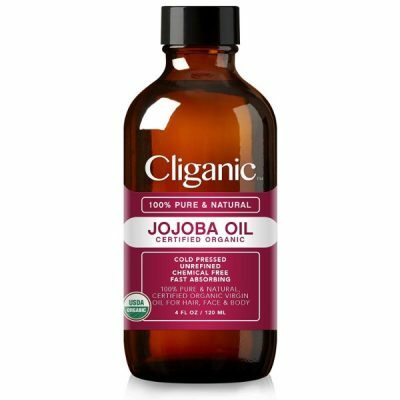 Jojoba oil is effective as well when mixed with hair and skin care formulas or create DIY recipes at home. Enjoy the wide uses of jojoba oil for personal care at an affordable price. Does not contain fragrance or filler. Has a light consistency that does not leave oily residues. Absorbs fast and deep into the skin to provide hydration. Comes with a glass dropper for mess-free application. Multi-purpose oil for personal care. Cleanses skin efficiently without causing dryness. Moisturizes skin and hair for long-lasting softness. Helps treat skin conditions such as acne and pimples. Conditions hair all throughout the day. 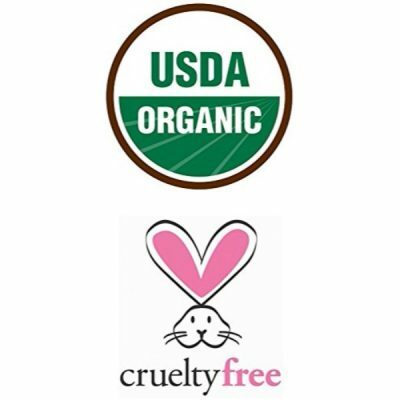 Provides nutrients to improve skin and hair health. To cleanse skin, use a dropper to put a few drops of oil on cotton balls. Smooth all over the face to remove makeup and dirt. Use warm water to rinse the excess oil from skin. Pat dry with a face towel. Use a few drops of Jojoba oil and put on palms. Rub hands together to help warm the oil. Apply to clean skin, face, or lips for hydration. Use daily to get results. To condition hair, wet hair thoroughly before applying oil. Use a quarter-sized amount of oil and put on hands. Rub palms together to warm the oil and apply on ends. Leave it on for 5-10 minutes before rinsing with shampoo. Manage hair well by reducing the frizz with Jojoba oil. Use 3-4 drops and apply to damp hair. Comb through from the middle-length to the tips of the hair. 100% Pure Virgin Organic Cold Pressed Jojoba Oil (SIMMONDSIA CHINENSIS).